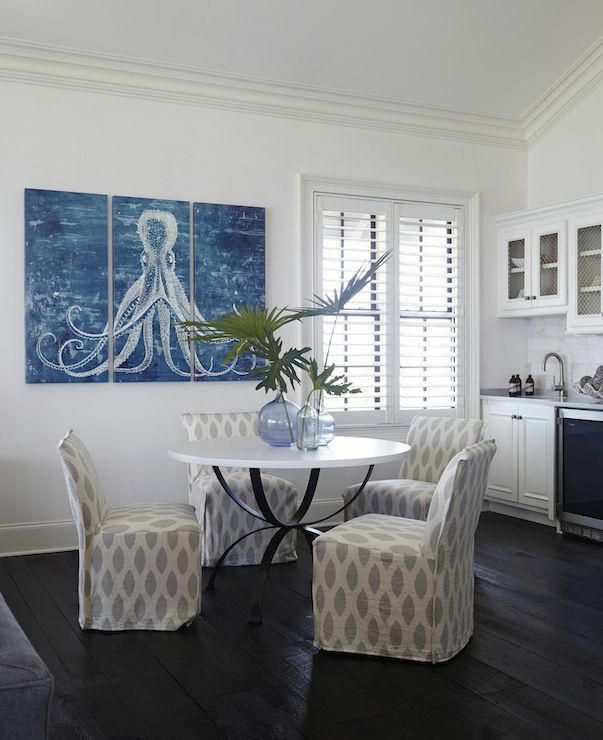 Art can cross-pollinate the rooms of a home to make it feel connected and intentional. 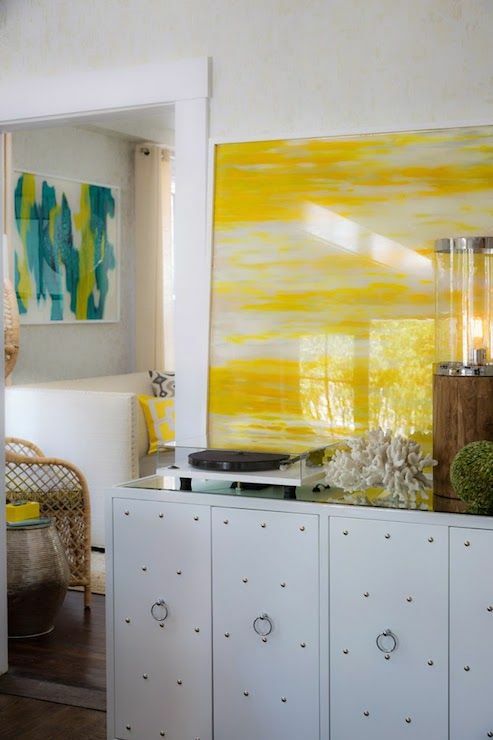 This jumbo yellow print decorates the foyer of a Rachael Reider Interiors house. If your home is for sale, I hope you are using art to beautify it. 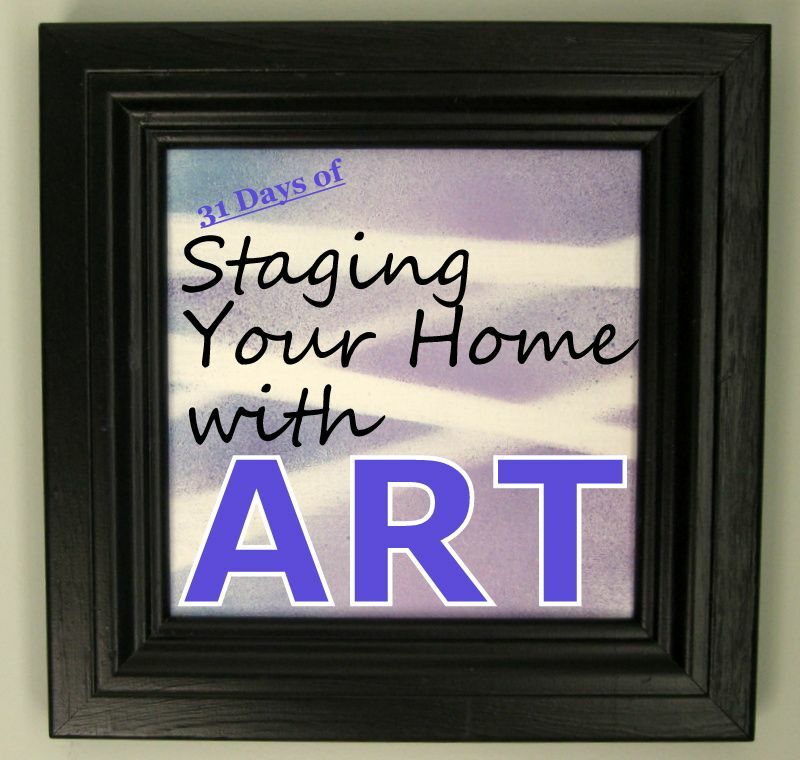 Yes, it's Day One of the 31-Day Challenge where I show and tell about wall art as an aid to home staging. Every day this month I'll be posting about one aspect of one topic -- how to use art to make your home look better to buyers. Although I'm fashioning my advice for home sellers, anyone decorating a home will find helpful tips for dressing up her home with these simple techniques. In the weeks ahead I'll be sharing with you tutorials, professional secrets, fresh ideas, and valuable pointers every DIY stager needs to know. I'll show you how you can stretch your homestaging budget and at the same time get results that translate into profits from the sale of your home. This series is part of an annual bloggers challenge sponsored by The Nester. Lettering -- good or bad for staging? I'm looking forward to the project of posting my tips to success gleaned from years of home staging and creating DIY art. Be sure to check other bloggers who have entered the challenge of writing daily for 31 days. Let the games begin! 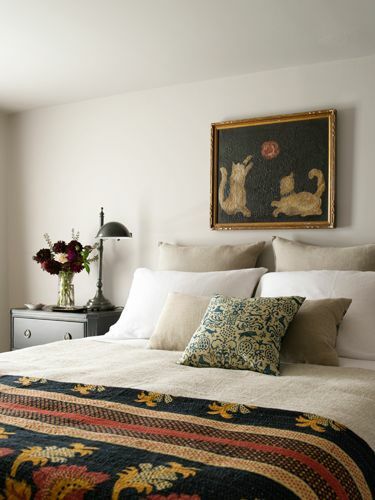 play over the bed in a house belonging to Joan Osofsky. John Gruen photo.